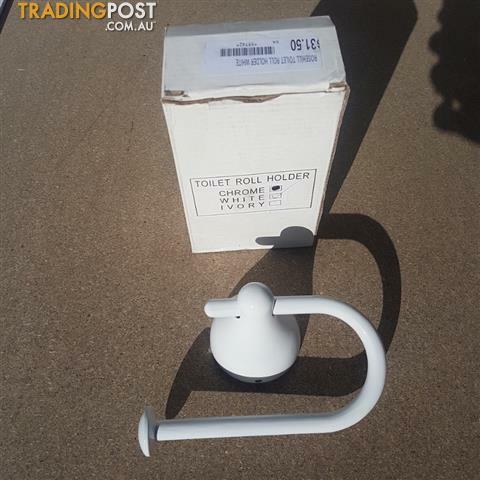 Toilet roll holder $5 - white. Various styles and designs available, inc chrome finishes. Come and inspect our huge range of bathroom & household accessories inc tap ware, door handles, sinks and more.